Education Scotland Inspection of Hospitality – HMIe, now called Education Scotland, visited the school to inspect the provision of Hospitality by West Highland College staff in Gairloch High School. The inspection went exceedingly well and our visitor was really impressed by the enthusiasm and focus of the pupils. The inspector commented that she could tell that the pupils got a lot out of the course, and was impressed to see that they had each passed the Royal Environmental Health Institute of Scotland (REHIS) Food Hygiene certificate. Thanks to West Highland College for supporting this course in school and Kirsty Thistlethwaite, our Hospitality instructor. Duke of Edinburgh’s Award – Bethan Townsend, S5, received her Bronze DofE Award at assembly on Friday 14th February. Well-done Beth! UNICEF non-uniform day – On Friday 14th February pupils had a non-uniform day to raise funds for UNICEF. In conjunction with this S1 pupil Emily Morrison arranged for a sweet sale to help her mum raise funds for Clic Sargent. Emily’s mum is raising funds by running the London Marathon. 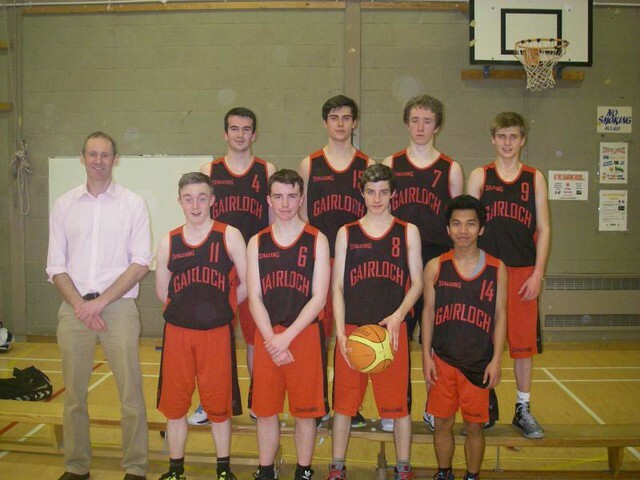 Basketball result – On Wednesday 5th February, the senior boys’ basketball team played Inverness Royal Academy. We won 59 – 44 with a convincing performance from all players. We are continuing to take on (and win) against much larger schools. 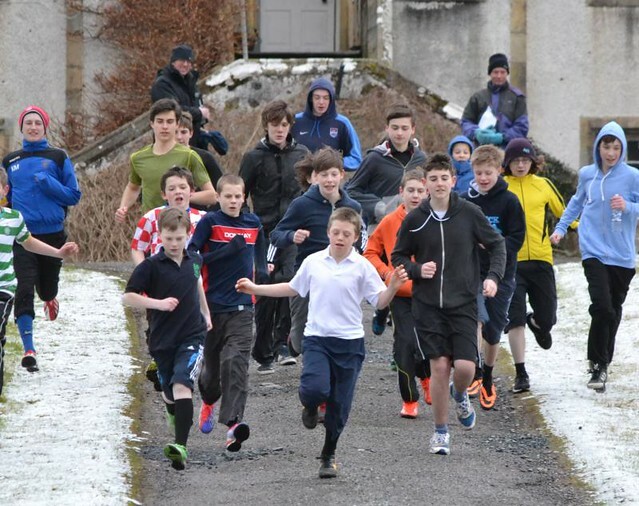 The boys train hard with the support of Mr Johnston, Mr Gorman and Mr Milner in school. Junior Boys 1st – Mark McLean S3, 2nd – Matthew Mackenzie S1 and 3rd -Roddie Wyatt S1. 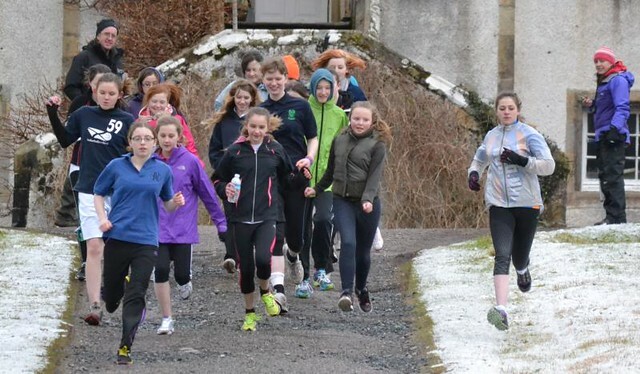 Junior Girls – 1st -Laura Russell S3, 2nd -Eilidh Johnston S3 and 3rd = Sara Johnston and Leonie Baptist both S2. Senior Boys – 1st – Innis Taylor S5, 2nd – Sydney Tippet S4 and 3rd Luke Gorman S6. Senior Girls – 1st and only senior girl Sofie Banister. Lots more photos are available on the school website. Photos from the start of the each of the male and female races are included here. Thanks to all the Marshalls for their help and to Gina Mackenzie at Flowerdale house for providing some warmth, juice and biscuits. It really helped the pupils enjoy their afternoon. The event was organised by Mrs Hildrey and Mrs Johnston with support from Dr Shearer and other staff. Former Pupil news – Murray Shearer has just moved to a new position with his employer BP. Read about him here along with other former pupil stories. Comenius Project – In 2013, Gairloch High School was successful in obtaining funding for a 2nd Comenius project, administered through the British Council. This funding allows pupils and staff from the school to travel to 7 other European countries: Latvia, Portugal, Poland, Greece, Turkey, Finland and Spain. In November of last year, there was the initial meeting in Preili, Latvia, and in January, everyone met in Porto, Portugal. Both these trips and future visits will allow pupils and their teachers from all 8 countries to meet together and forge friendships as well as exploring educational and cultural similarities and differences between them. 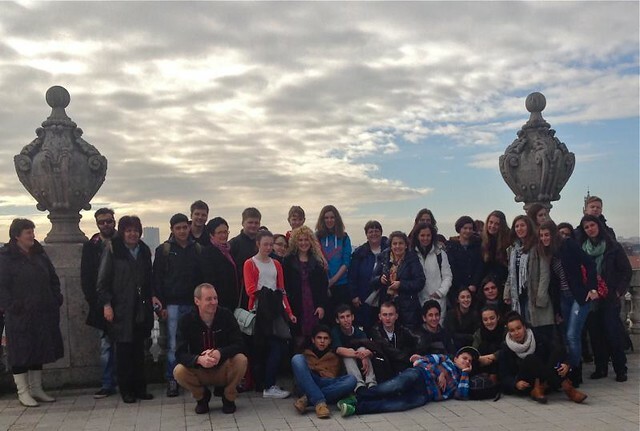 During the visits, pupils stay with host families, and this is an invaluable part of the Comenius experience. The project everyone is studying is “The Four Natural Elements and their Effect on Our Lives”. Pupils will be exploring how we are affected, in Gairloch and in Scotland as a whole, by water, wind, earth and fire. During the visits to our partner countries, they will be presenting their findings in the form of slideshows, films and prepared talks. 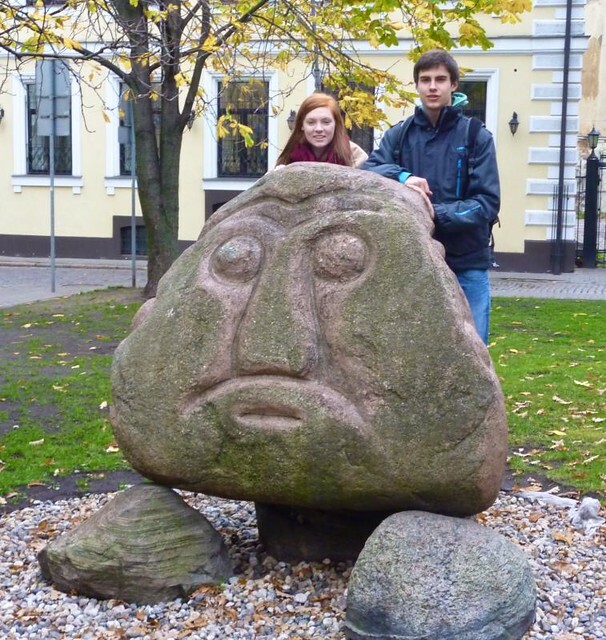 For the trip to Latvia in November 2013, all the partner countries prepared introductions to their schools, towns and countries. Becky Griggs and Innis Taylor were very worthy ambassadors from Gairloch; their presentation left our European friends looking forward to the Scottish meeting in 2015. One of the many highlights of the trip was a visit to a historical outdoor museum, where original mediaeval buildings from all over Latvia have been preserved. As music and crafts are vital elements of Latvia’s history and culture, participants were also treated to the singing, dancing, knitting and sewing which so impressed everyone during the week in this beautiful Baltic country. Pupils Caitlin Mitchell, Eilidh Johnston and Sara Johnston accompanied teachers Beth Hunter and Andrew Johnston to the seaside port of Porto, Portugal in January. The girls gave an impressive presentation of “Our Lives by the Sea”, and also entertained everyone with Caitlin’s Highland dancing accompanied by Sara’s fiddle playing. The places they visited during the week included a chocolate factory, the FC Porto stadium and the famous port wine cellars, which lent their name to the city itself. Pupils and staff experienced fantastic Portuguese hospitality during a busy and enjoyable week. Each of the European meetings will be followed by an evening, open to all in the community, where pupils and teachers can share these unique experiences through photos, films, displays and refreshments from the country visited. Pupils & teachers from Scotland, Latvia, Portugal, Poland, Turkey, Finland and Spain. CERNO visit – Recently Gairloch High School welcomed visitors involved in an ICT Education project. 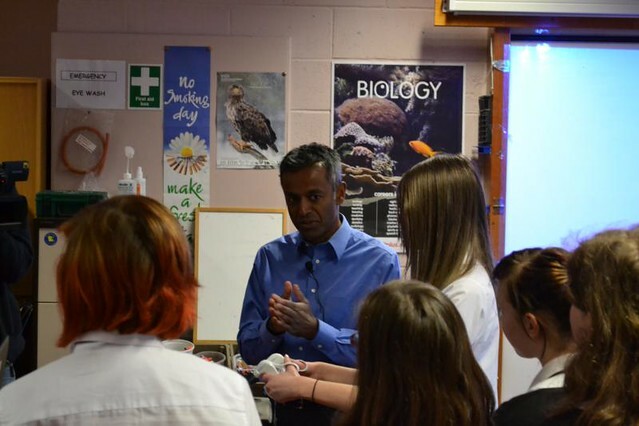 Mr Ranjan Thilagarajah (consultant surgeon), Mr Gary Disley (Cerno Education) and a film cameraman visited with the aim of speaking to pupils and filming lessons with a view to making the events available on the Internet for wider viewing. If this technique could be perfected at an economic price, lessons could be made available to pupils who were not in school either in real time or later on. 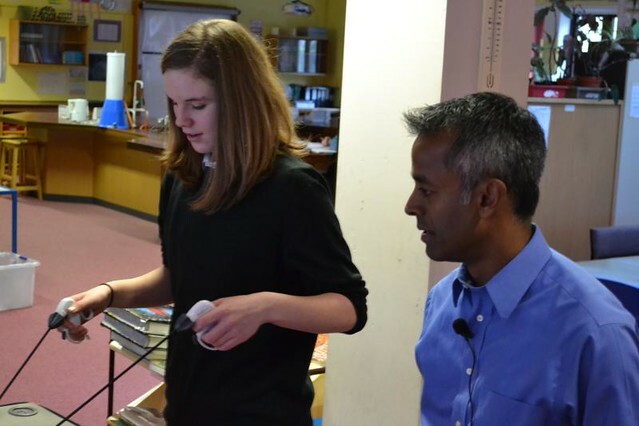 Mr Thilagarajah is involved in pioneering robotic surgery in the UK and spoke to S1/2/3 pupils about his work and their ambitions within the medical profession. He repeated the talk with S4/5/6 pupils. His main message was how important it is to stand out from the crowd, in terms of outside interests as well as academic qualifications. Pupils also got the chance to try out their keyhole surgery skills in simulators. The Cerno Education team also filmed lessons in Biology and Gaelic for their website. On Thursday after school, Prof Dave Barclay gave a fascinating talk on forensic science (and the importance of logic and lateral thinking) to staff and senior pupils. Mr Disley spoke to pupils about his experience in local radio and news production for the BBC and Sky. When the team left on Friday the cameraman was en route to New York to do some work for Microsoft. There was a real buzz about the school when the events were on. Thanks to Susan MacLean (at West Highland College for accommodating one of the sessions at short notice) and Mr Johnston (for arranging the whole event). Exam action planning – Pupils in S4, 5 and 6 will be given action plans over the next few weeks to help them prepare for their qualifications. In most cases, these will direct them to aspects of their courses on which they need to concentrate to be successful in forthcoming exams. In other cases, it may be work required for coursework. S3 will have exams in March and to help them prepare for these, they are also being given action plans. This will be their first experience with a number of assessments concentrated in short period of time. This will give them the opportunity to improve their revision skills and give them an insight into the work required for exams that become far more important when they move into S4. We would welcome the support or parents and carers to encourage pupils to use these action plans and to revise sufficiently for their goals. Academic Achievement Awards – If any individual, organisation or business is interested in sponsoring outstanding achievement in the areas of Mathematics, Science, Technology and Geography they are invited to contact John Port, Headteacher, to discuss. The cost of a trophy and any associated prize is not normally burdensome and we are grateful to several groups and individuals in the community who currently contribute towards recognising the success of our youngsters. The Headteacher can be contacted by telephoning 712275, by letter or email gairloch.high@highland.gov.uk.